Hello Yvonne: Enveloped in Ankara! Hello! I'm starting this week with a heavy heart for the recent victims in the Paris attacks. My condolences goes out to their families. With this happening, I saw a huge mention of this on social media (instagram, fb), every news coverage which is good to see so people are informed, but makes me ask the question why I have not seen this happening with all the violence and attacks caused by similar groups like Boko Haram in places like Nigeria, Cameroon, Kenya (Africa), or even other bombings in areas like Beirut?! We should be just as aware and outspoken of all these too. So as everyone is saying pray for Paris which I agree, I say pray for Boko Haram victims, pray for victims of other attacks, pray for the world and pray for peace. 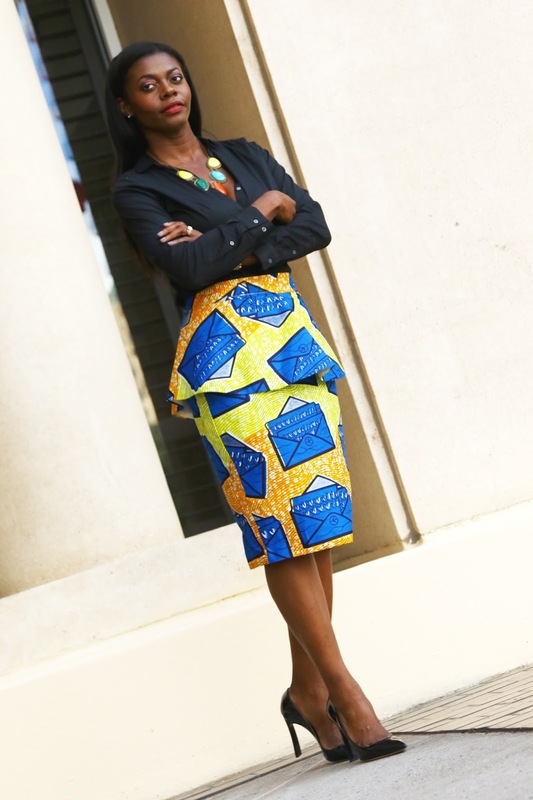 Speaking of Africa, this envelope printed fabric was given to me by my mom and I had it sewn into this peplum skirt. 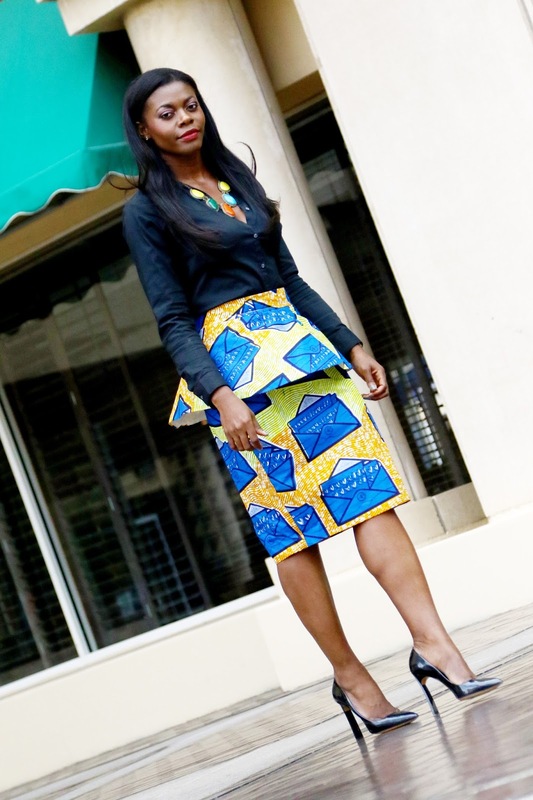 The skirt is called ankara which is basically african inspired fabrics/prints/fashion. I love that something thought of as traditional can be modernized as paired here. Thanks for reading! 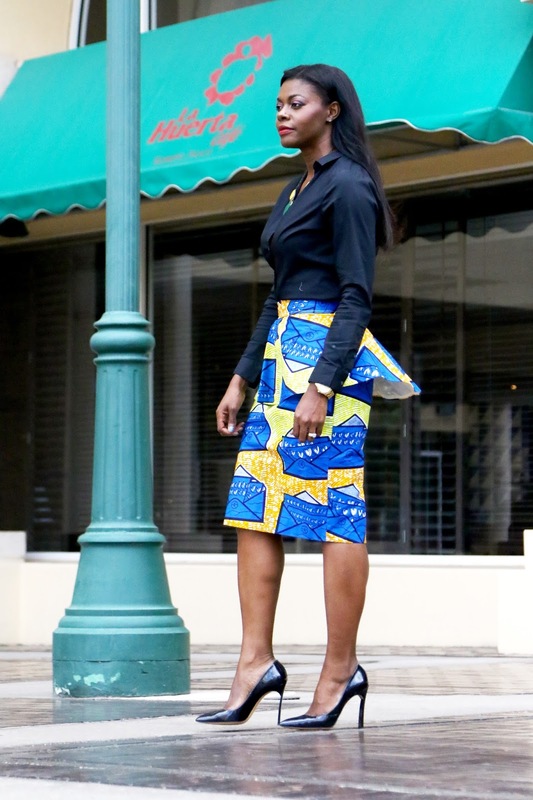 Ankara Skirt- Custom made (Similar), Shirt- H&M (Here), Heels- Casadei (love), Necklace- Old (Similar). I couldn't agree more. Let's also bear in mind that there's boko haram in Nigeria and other countries are affected with terrorist attacks too. It will be nice if Nigeria is remembered. I love the skirt. The detail on and the print is beautiful. I agree Doreen and thank you! Your skirt is just pretty.. you styled so elegantly. Love it. Love this outfit on you and that skirt is TDF. We never hear about the tragedies happening everyday in Africa & other countries. We must be more mindful. #PrayForTheWorld indeed! Elegant! 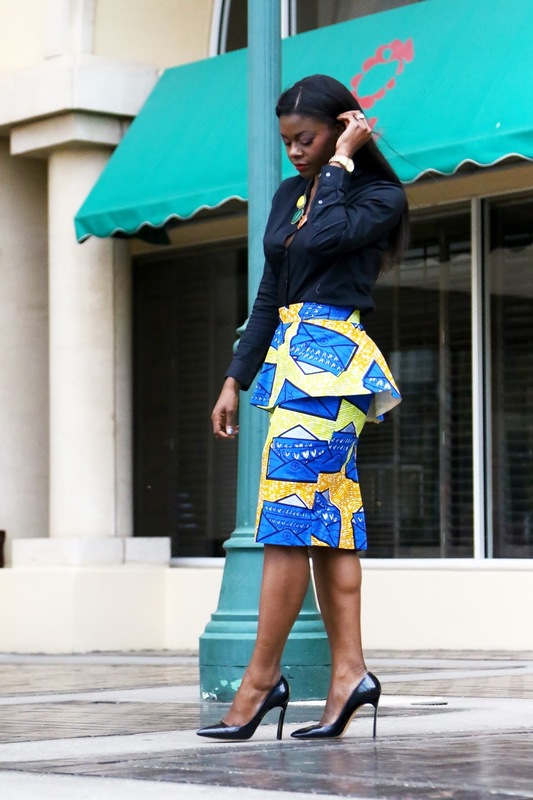 I love the modern twist to the Ankara skirt. Beautifully made by the way and sub tho k your choice of necklace gives a chic yet fun vibe to this look! Another greatness. Merci beaucoup Cherie! I'm happy to hear you love it and yes we must pray for the world! Yes Pray for the world! Loving that skirt! Agreed Raliat! and thank you!! The Paris incident still breaks my heart, and my soul aches for all the people that lost a love one. 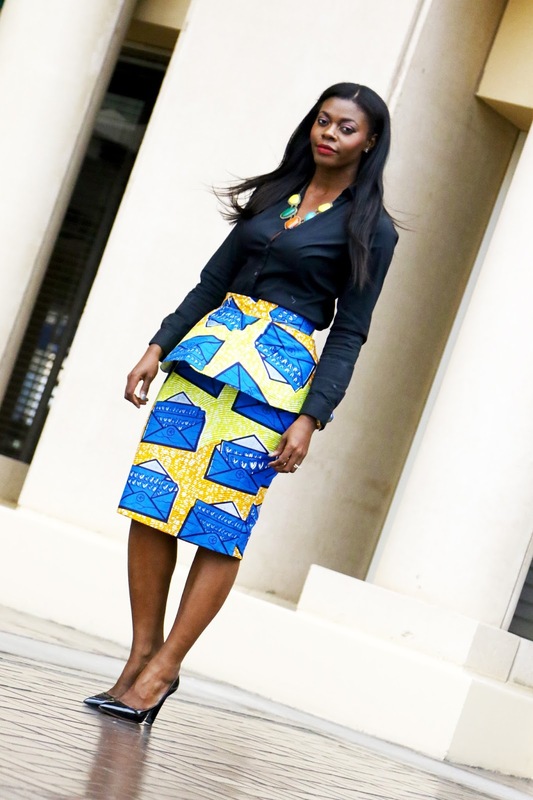 You've styled your Ankara skirt beautifully, love how bright and colour it is. Great look!